Comcast is on the cusp of getting approval from the UK government to buy British broadcaster Sky for £22 billion ($31 billion). The approval will bring the American company a step closer to scooping up a valuable international asset that Disney is also competing for. Matt Hancock, the government's culture and media secretary said on Monday that "the proposed merger does not raise concerns in relation to public interest considerations." But he noted that his full and final decision would come after further consultation with "interested parties." Sky is a leader in pay-TV services in the UK, and other regional markets including Germany and Italy. It sells broadband and mobile phone services, and it operates an influential news division. For an American company looking to expand in Europe, it's considered a smart purchase. "We welcome the statement from the Secretary of State. We remain focused on progressing our superior offer for Sky," Comcast (CCV) said in a written statement. Over the past few months, Comcast, Disney (DIS) and 21st Century Fox (FOX) have been vying to buy Sky to get new international exposure and help fend off challenges from tech upstarts such as Amazon (AMZN) and Netflix (NFLX). Comcast's dramatic, unsolicited bid for Sky in February shocked the media and business worlds. Rupert Murdoch's Fox already owns roughly 40% of Sky (SKYAY) and had been trying to take full control of the business for a year, but was delayed by UK regulatory reviews. Disney's bid to buy Sky is being done in a roundabout way: It agreed to buy most of 21st Century Fox (FOXA) assets last year, including any Sky stake. 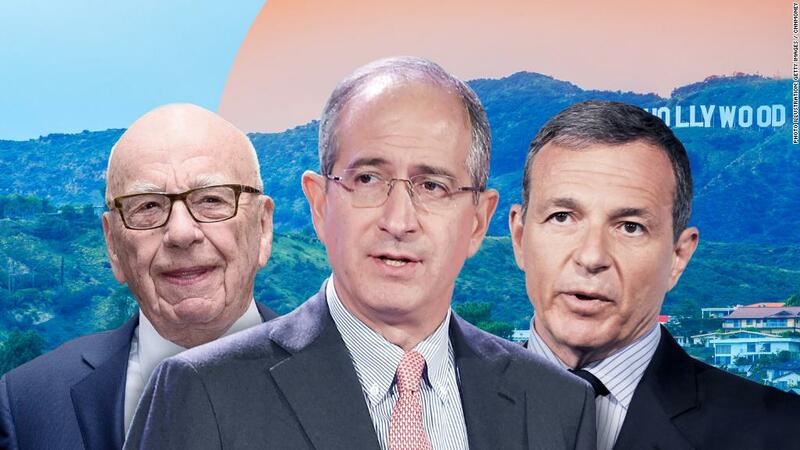 Sky has not publicly indicated a preference for either the Comcast or the joint Fox-Disney deal in recent weeks, though the Comcast offer is higher. It has been waiting for the UK government to issue its opinions and approvals for both takeover offers. Following Comcast's formal bid in April, independent directors at Sky withdrew their recommendation that shareholders accept Fox's offer. In January, the UK regulator -- the Competition and Markets Authority -- said Fox's bid to buy 100% of Sky was "not in the public interest" due to concerns that the purchase would limit the number of independent voices in the UK media landscape. Hancock is in the midst of reviewing the regulator's final, yet-to-be-published report on the Fox-Sky proposal. He will make a final decision on this potential deal by June 13. Last year, CEO Bob Iger called Sky a "a real crown jewel" in an interview on Bloomberg TV, and complimented the broadcaster's "value proposition to their consumers."